This newly constructed 200sqm Villa, on 2019sqm of land is above Agni Bay and has uninterrupted views to the sea and across the channel to Albania. Oriented to take advantage of the views to Corfu town to enjoy the sparkling night lights of the city. Two of the bedrooms are ensuite, one has a bath as well as separate shower, both these bedrooms are upstairs while the third is on the ground floor. All rooms enjoy the magnificent sea views which is so expansive it takes 3 photos to get the full panorama. This house is located in Kentroma on the North East Coast. This newly constructed 200sqm Villa, on 2019sqm of land is above Agni Bay and has uninterrupted views to the sea and across the channel to Albania. Oriented to take advantage of the views to Corfu town to enjoy the sparkling night lights of the city. Two of the bedrooms are ensuite, one has a bath as well as a separate shower, both these bedrooms are upstairs while the third is on the ground floor. All rooms enjoy the magnificent sea views which is so expansive it takes 3 photos to get the full panorama. The pool and sunbathing terrace is directly off the dining and kitchen and the living room is generous. 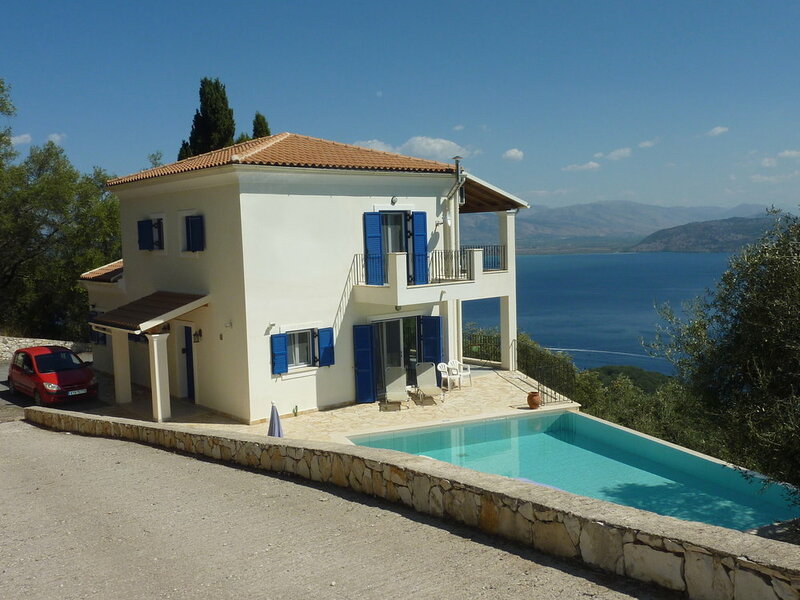 Being flooded by natural light all day and a cooling sea breeze by night, this is an excellent choice for a home on Corfu. If it is a business you want then this property comes with a Hellenic Organisation of Tourism licence.